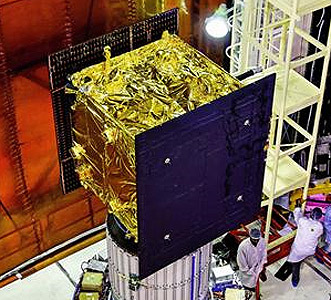 Microsat-R is an small Indian satellite built for the Indian military Defence Research and Development Organization (DRDO), likely as a target satellite for ASAT testing. The satellite has a launch mass of 740 kg and orbits the earth at a height of 274 km. Reportedly it was built by a handful of DRDO laboratories, not by ISRO. The satellite was destroyed in an ASAT test on 27 March 2019. Initially about 270 fragments were detected in orbit.